Sciblogs | Science, bloggers, activists, and science as "the one true global culture"? Science, bloggers, activists, and science as "the one true global culture"? Originally written some time ago (unpublished) as an invitation for visitors to ruminate, opine and generally waffle on,* this has been revised to ally it to a meme currently circulating science bloggers. Several science bloggers are writing that some scientists should do more to promote scientific activism, scientific culture and thinking – with some caveats. Ed Yong has pulled most of these together. I’ll catch up on the fuss once I have time to read, but I’d like to start at another point – is science the ‘one true global culture’, in the sense that it can pervade in any country – and how (and if) this should be encouraged in poorer nations. Profound, grandiose nonsense, or – somehow – both? This passage was apparently followed by Richard Holmes supporting Lord Ress. 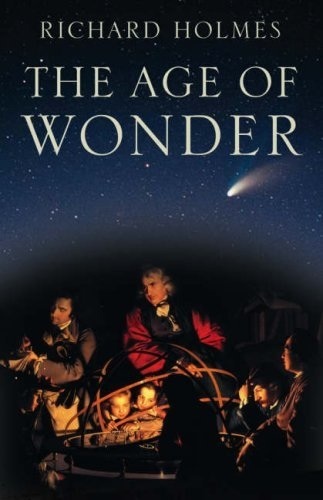 Bycroft suggests Holmes should know, being the author of the The Age of Wonder, which, by coincidence, I happen to have just borrowed from the library. While they were talking about science writing it got me thinking is science the one true global culture? It’s a lofty ideal and one that might appeal to a scientist. I’m not well-equipped to take on this formally. I’m not a sociologist, science philosopher, or or science historian. From a pragmatic point of view, in terms of the wider advocacy issue, I think it’s a moot question: if the culture is good, it’s good thing regardless of it’s ultimate origins or status, but one it’s certainly interesting to look back at the history of science and see it’s origins. Applied properly, this can be a powerful force for improving our lot. Restricting ourselves to wealthier nations, science is shared across different political, religious and cultural backgrounds, so my initial thoughts are that it has the potential to be global, but that science needs to be taken up more strongly in poorer nations before this might be true. Having travelled a little I can see where Parekh is coming from. When I can I try to visit local universities, as a way of meeting locals. (And people who are more likely than most to know English!) Few countries I have visited have no universities or research of some kind, but the support was very poor by Western standards. It seems to me that with some exceptions, science as pervasive national endeavour is mostly a Western culture, as consequence of education and, let’s face it, wealth. Research institutes and universities cost money. The discussion Yong refers to no doubt focuses on Western nations. (I’ve yet to find time to read it, but there is no mention of promoting science in poorer nations in what I have read so far. As Ed Yong points out, advocacy comes with it’s downside. Cheer-leaders are needed, but this isn’t the only thing, or the main thing to my mind. Personally, though, I’d like to see more attention paid to poorer countries and for some of this ’cognitive surplus’ to be directed that way. * I know so nothing about this at a formal level, so I can hardly offer this as anything more. ** As an aside, a recent report had China wishing to double the number of science communicators, largely targeted at their rural population. I just would like to see more attention on poorer countries. While it’s not to say wealthier countries can’t improve their lot (as we’ve both said some of the nonsense out there is truly bizarre), poorer countries have a real need yet I don’t see it mentioned much in these sorts of discussions. I haven’t gotten past the first few pages of TAOW yet. The only reason I can get this post out (never mind reading anything) is that it was mostly written ages ago! Just to follow-up on my earlier reply to Alison, I’m not trying to suggest that people shouldn’t try clean up their own backyards as it were (or that this doesnâ€™t need doing), just that the global scene â€” in particular the poorer countries â€” donâ€™t often get mentioned much in these sorts of discussions.